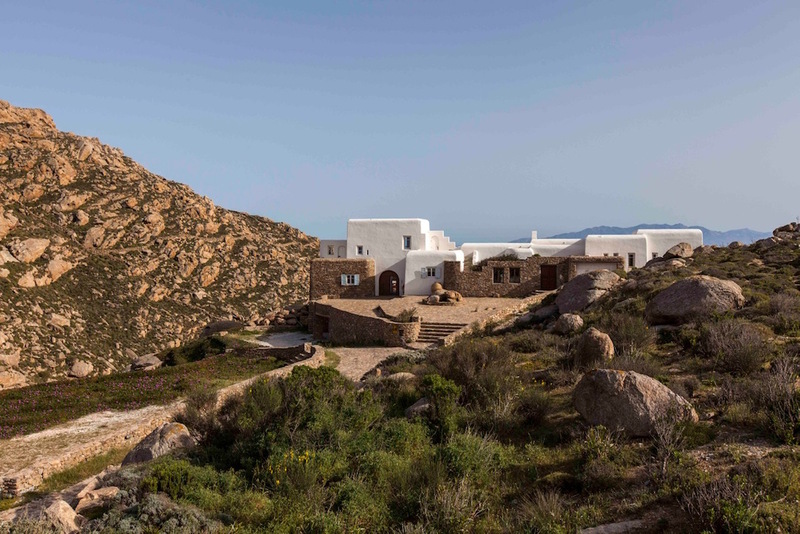 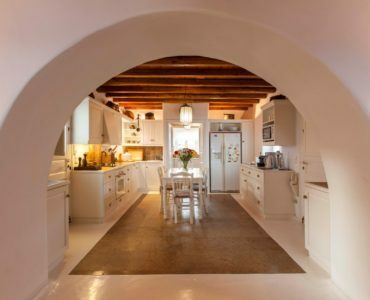 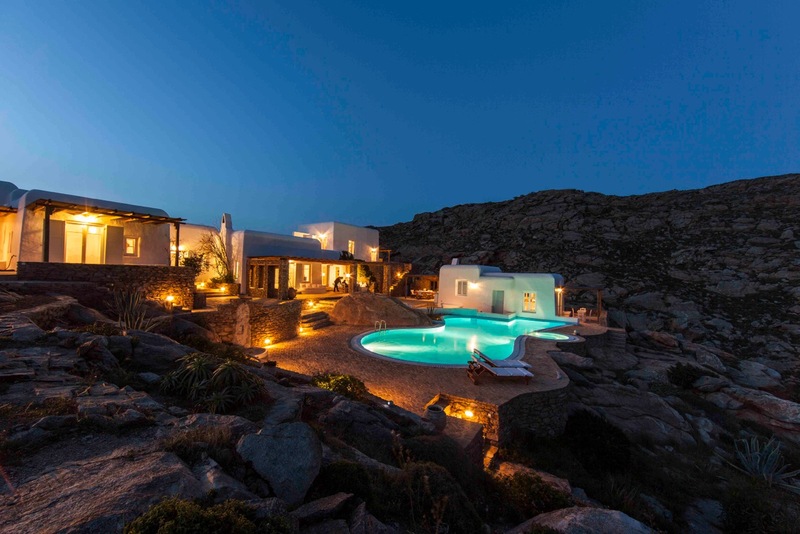 This wonderful villa has been featured in Architectural Digest magazine as one of the top summer houses in the world. 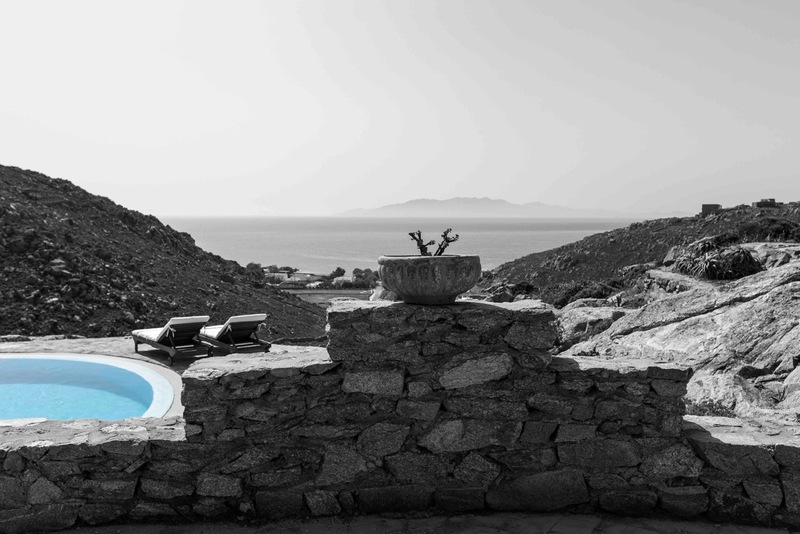 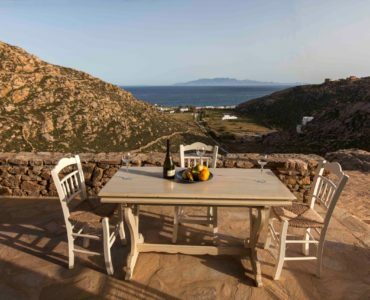 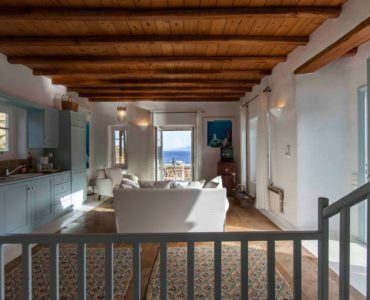 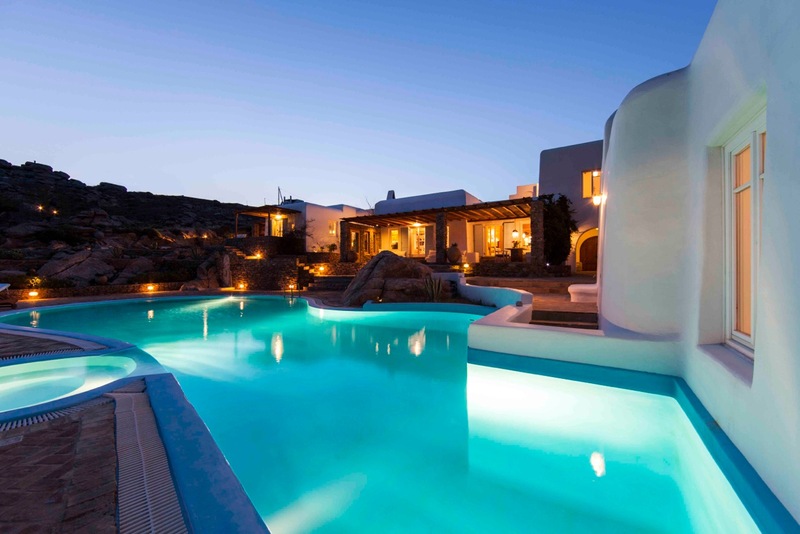 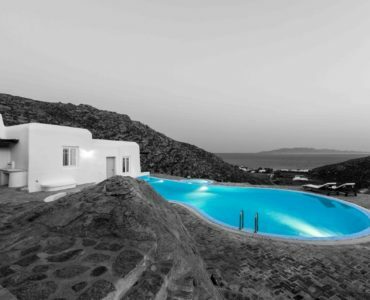 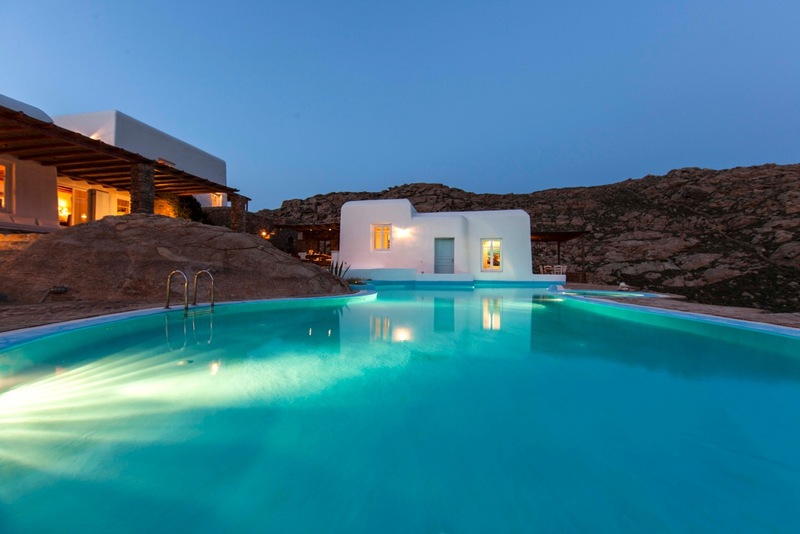 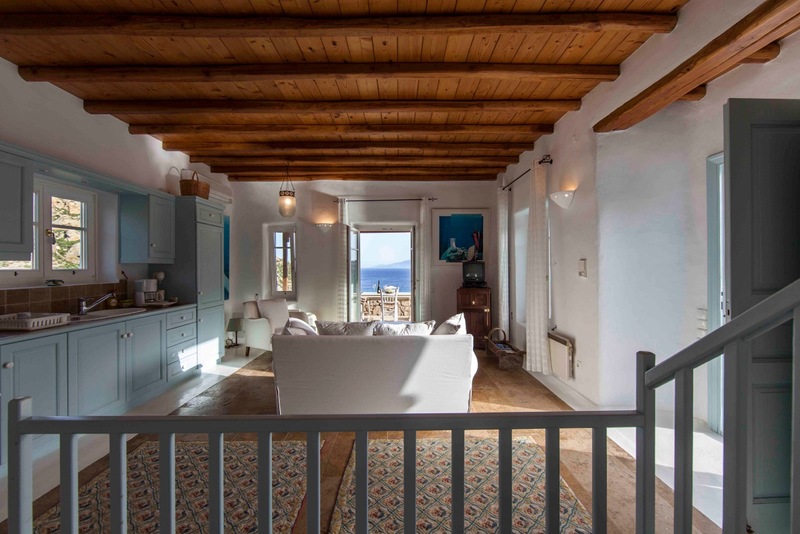 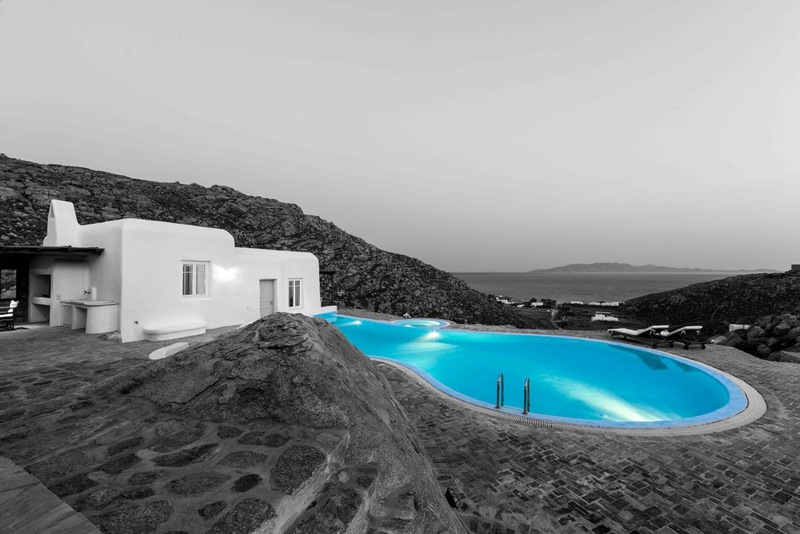 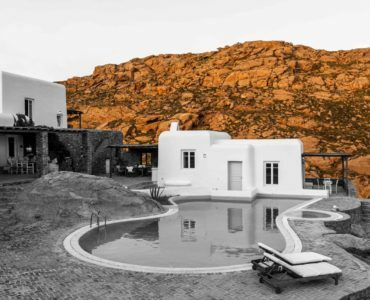 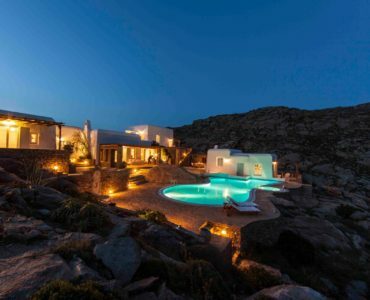 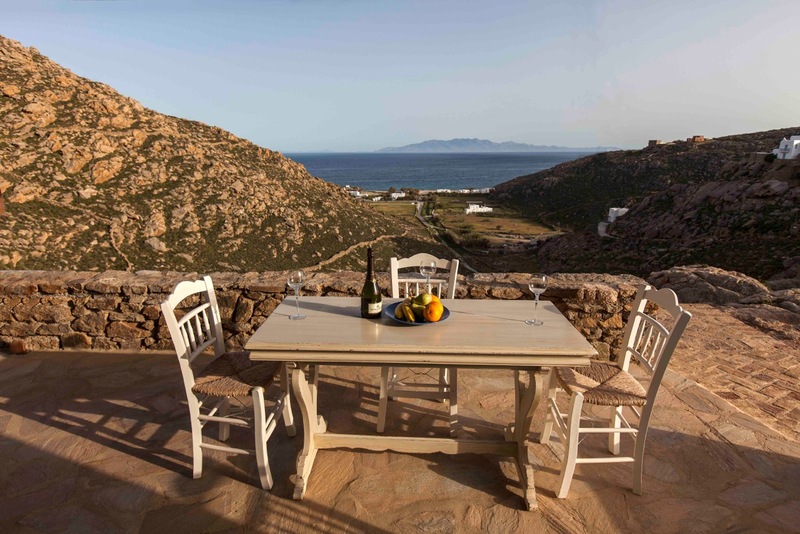 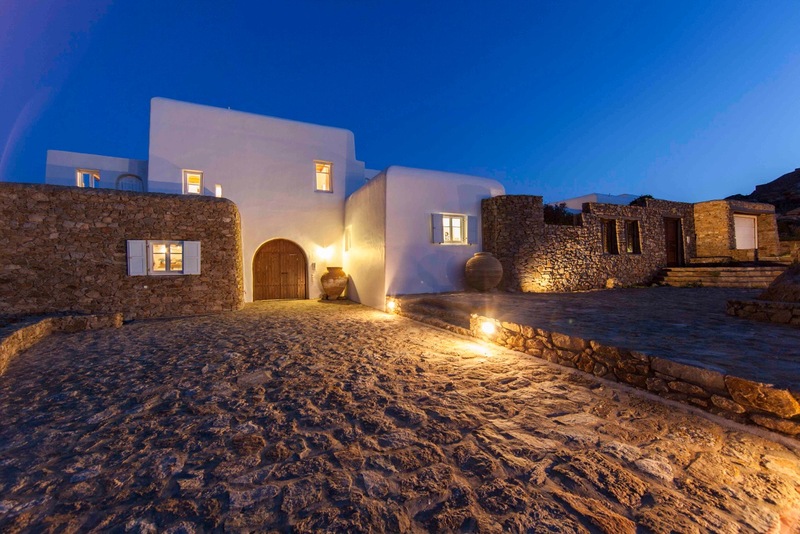 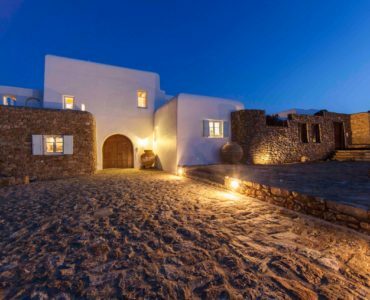 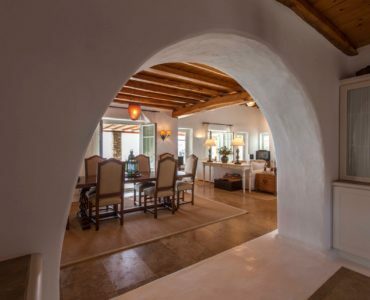 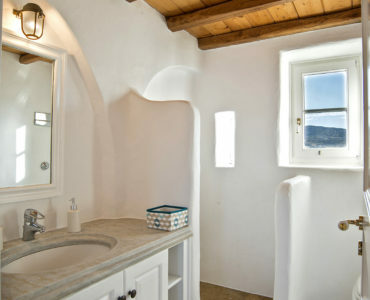 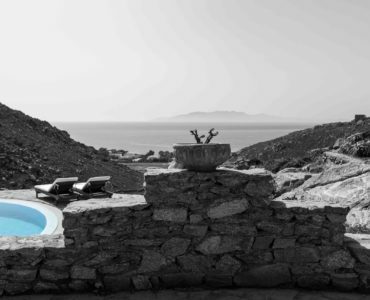 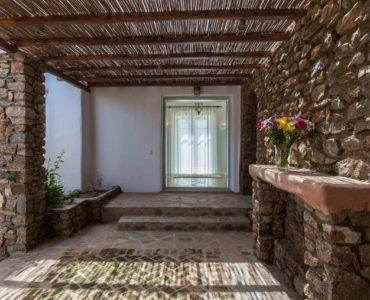 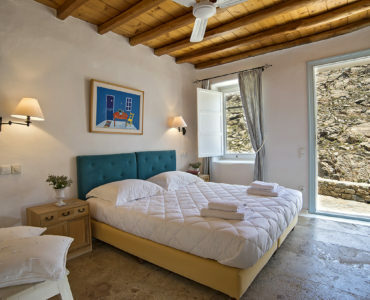 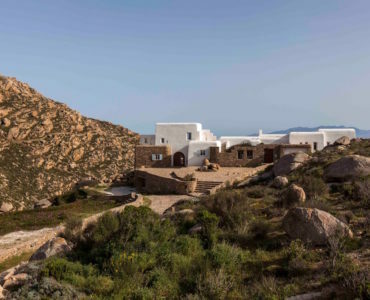 Set on a cliff, in a private and secluded land plot of 10,000 square meters, just over a small river, surrounded by rocks of extremely natural beauty and shapes, this residence offers a stylish and tranquil retreat from which you can enjoy the unimpeded views to the classiest beach of Mykonos, the Agrari beach. 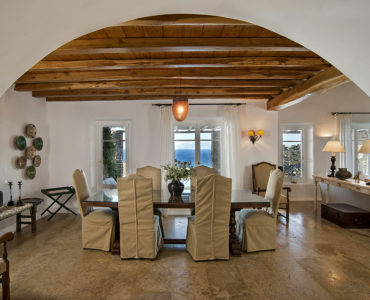 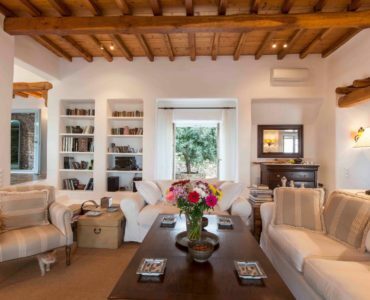 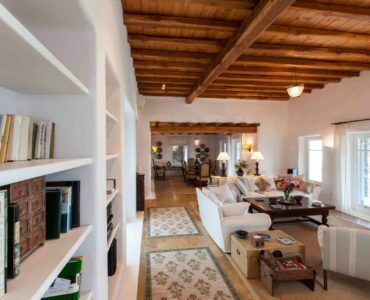 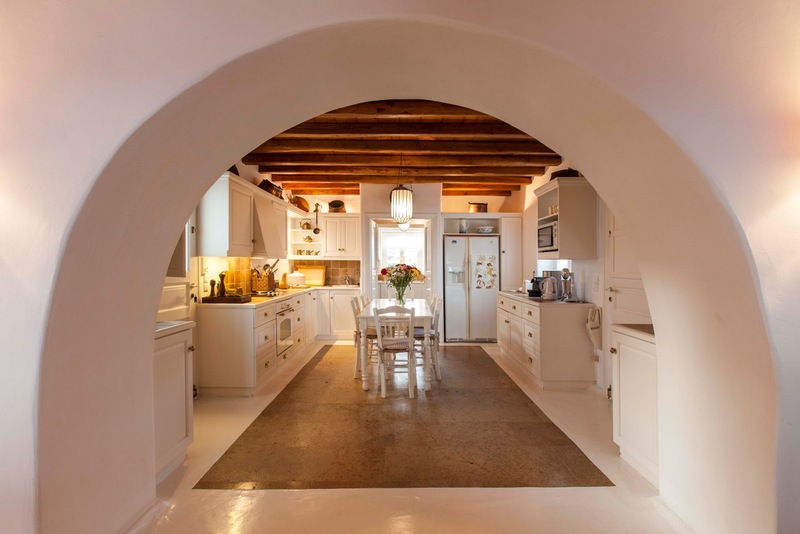 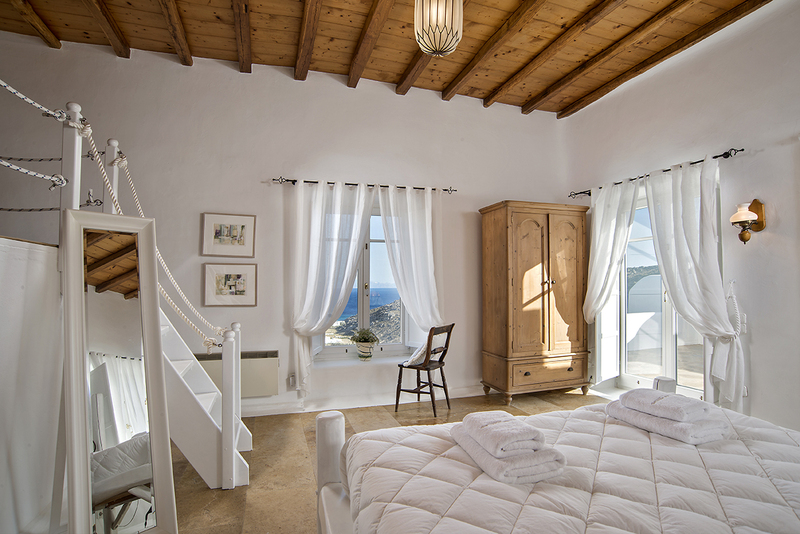 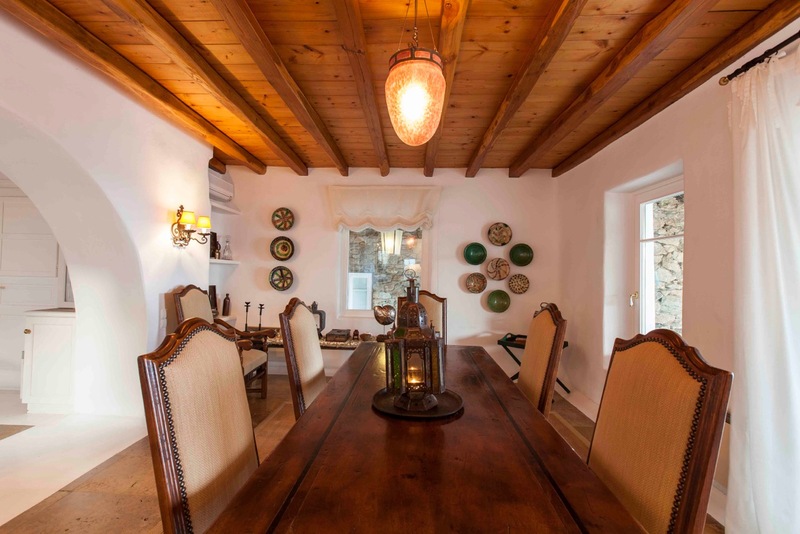 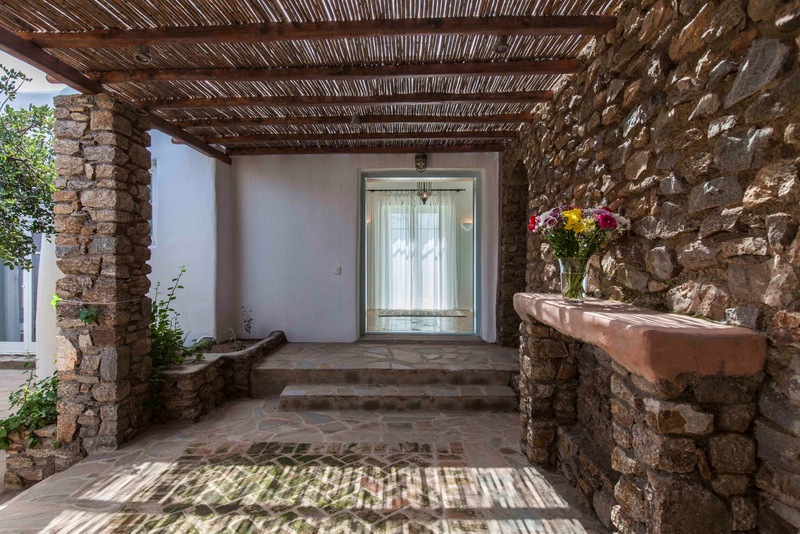 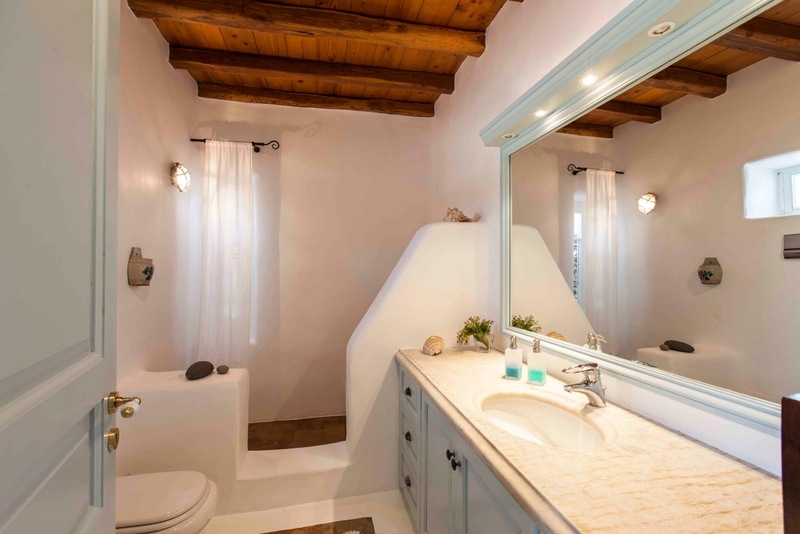 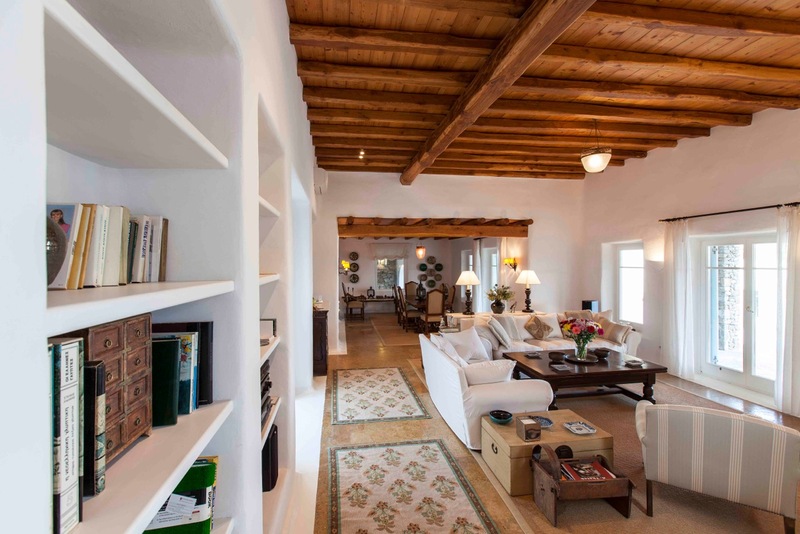 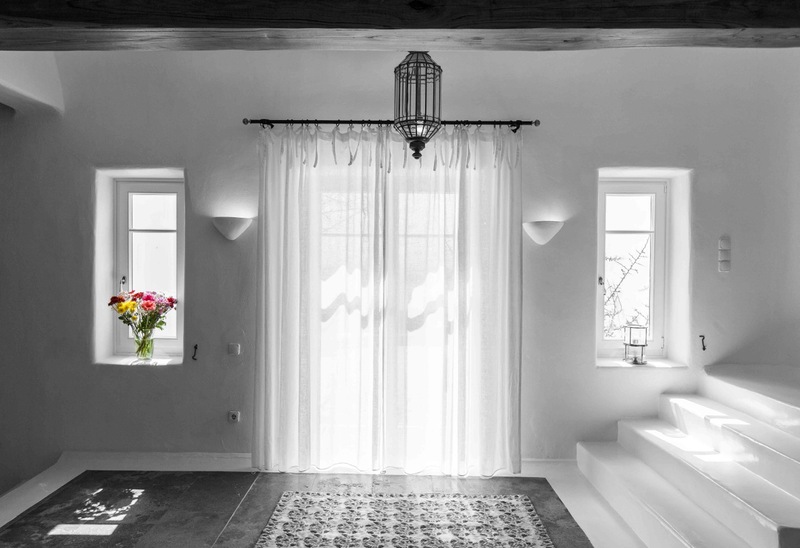 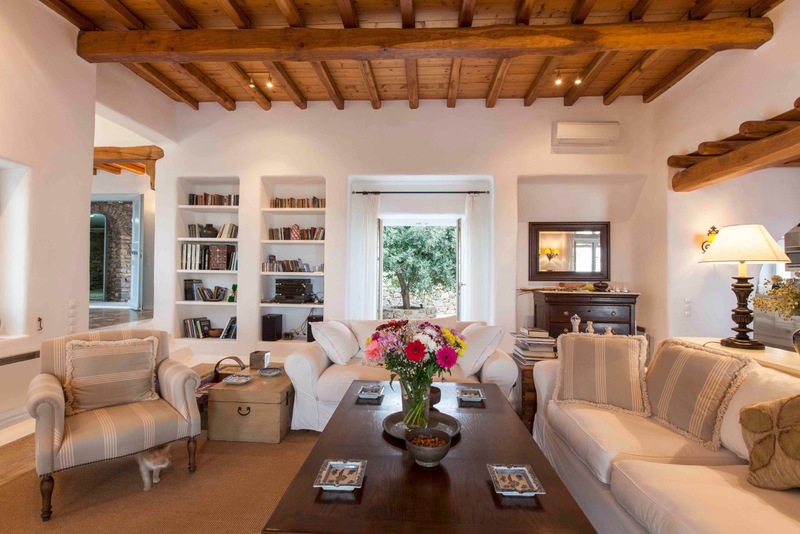 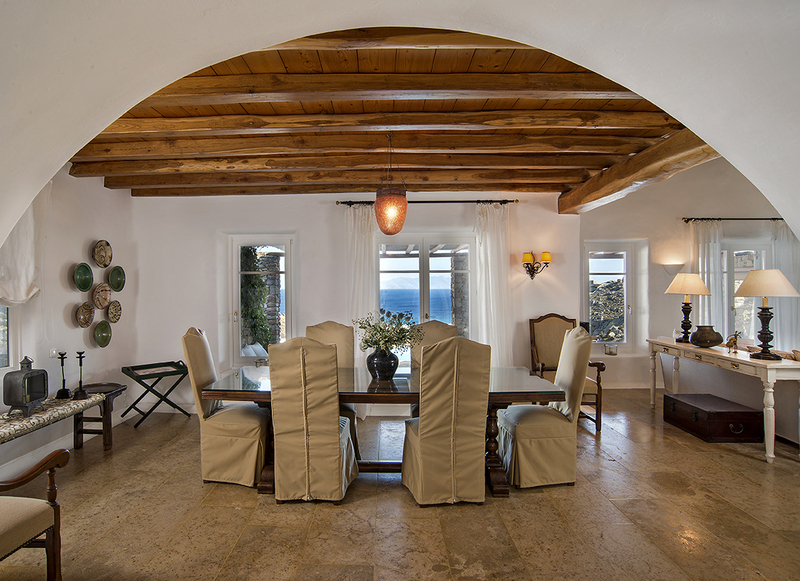 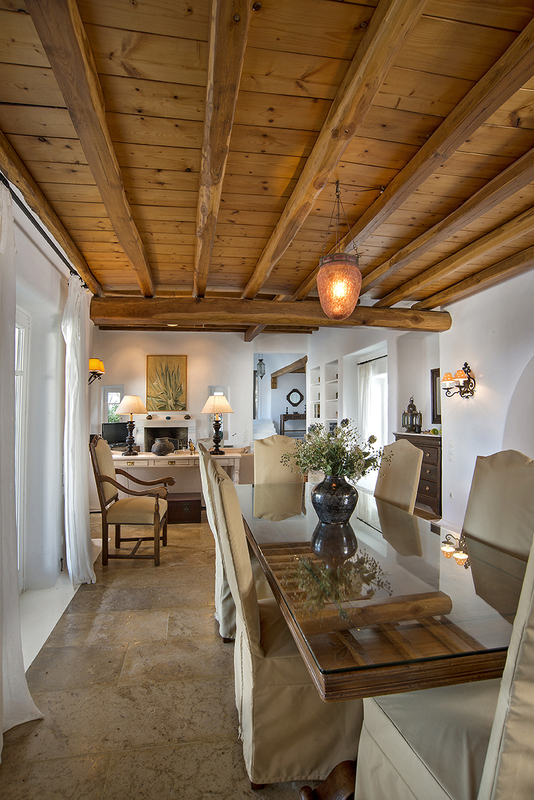 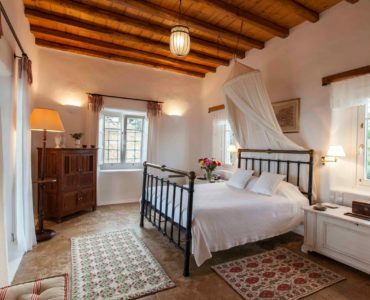 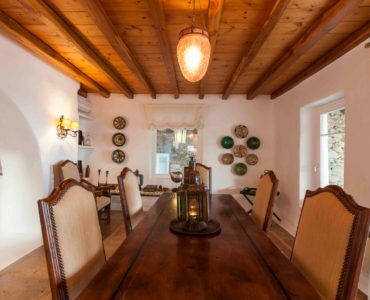 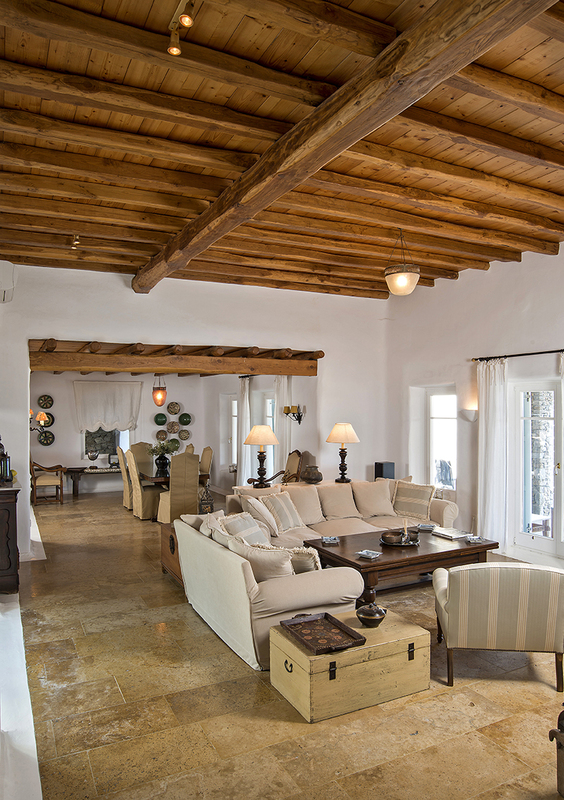 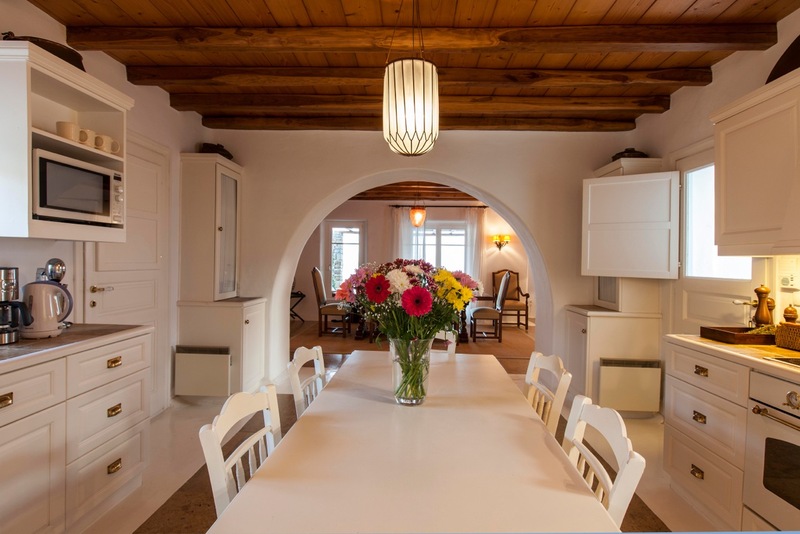 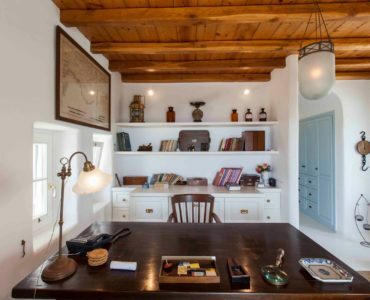 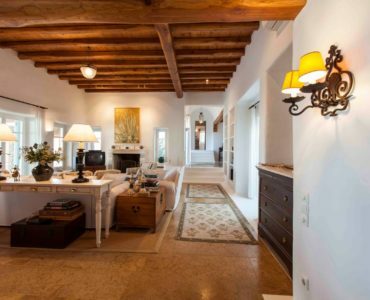 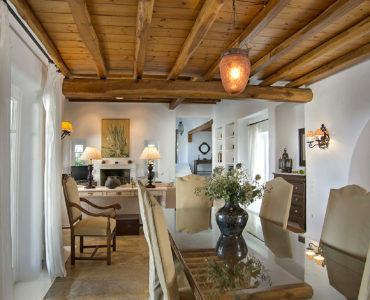 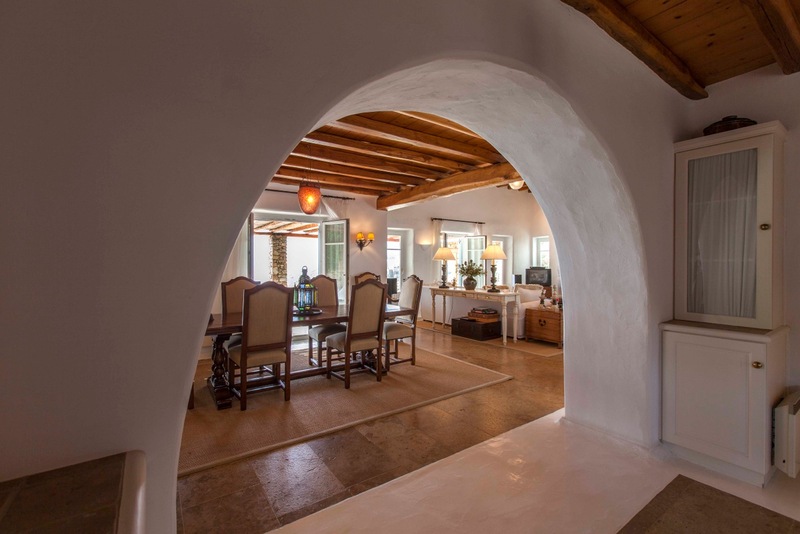 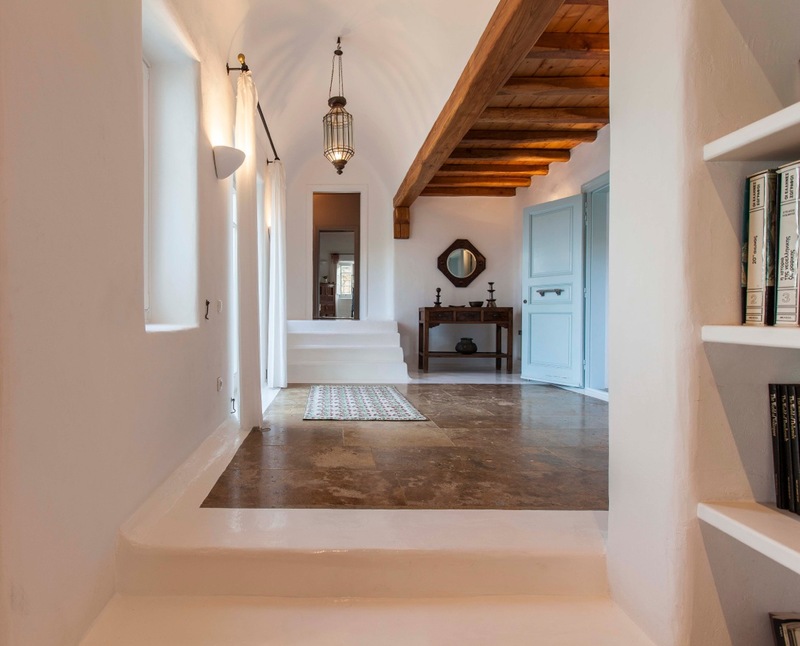 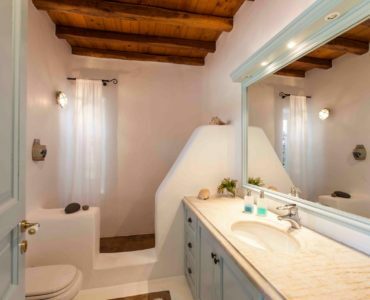 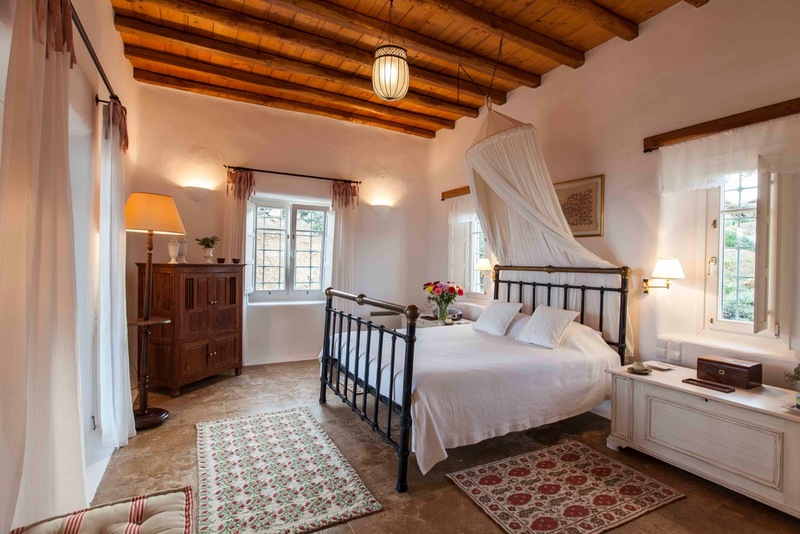 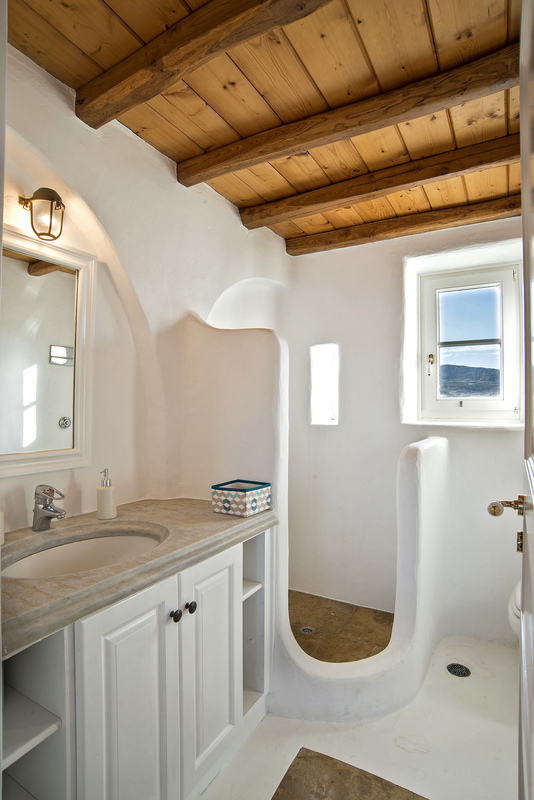 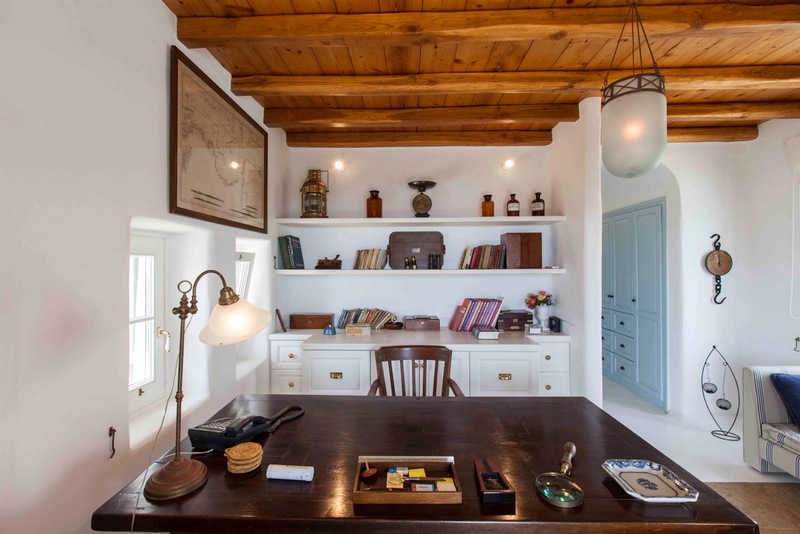 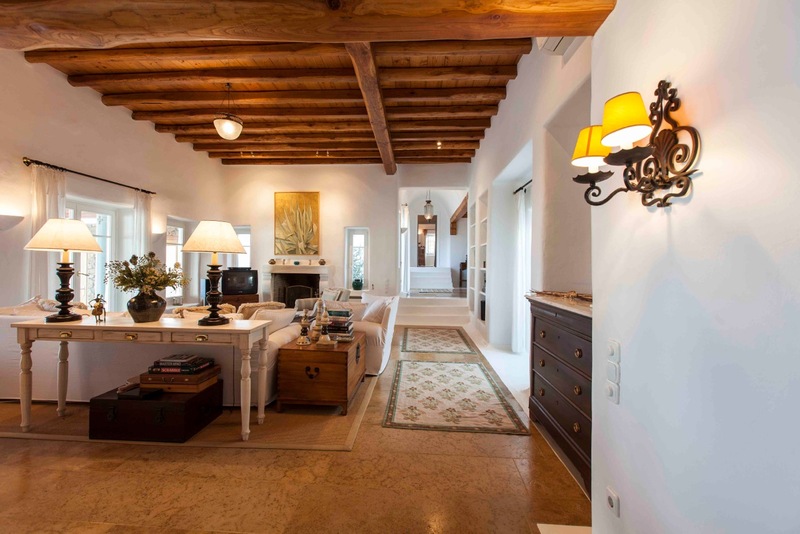 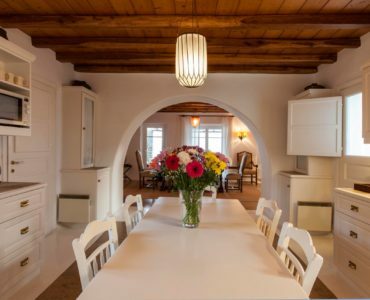 The interior of the residence is a seamless blend of traditional charm and modern comfort. 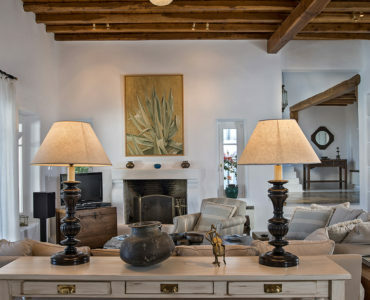 The golden brown marble on the floors, the old chests, the wooden ceilings, the gravures and the ceramic plates on the walls, create an atmosphere of elegance and island luxury, while on the other hand, the living experience of this beautiful residence is that of a warm home styled by comfortable furniture and art of various international artists that the owner has personally handpicked from abroad. 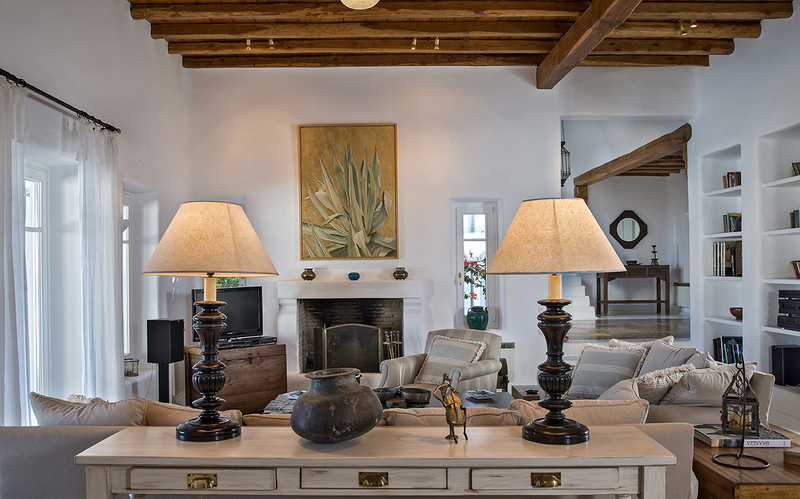 The starring piece in the main living space is a marvelous dining table, a 300 year-old masterpiece from a French monastery. 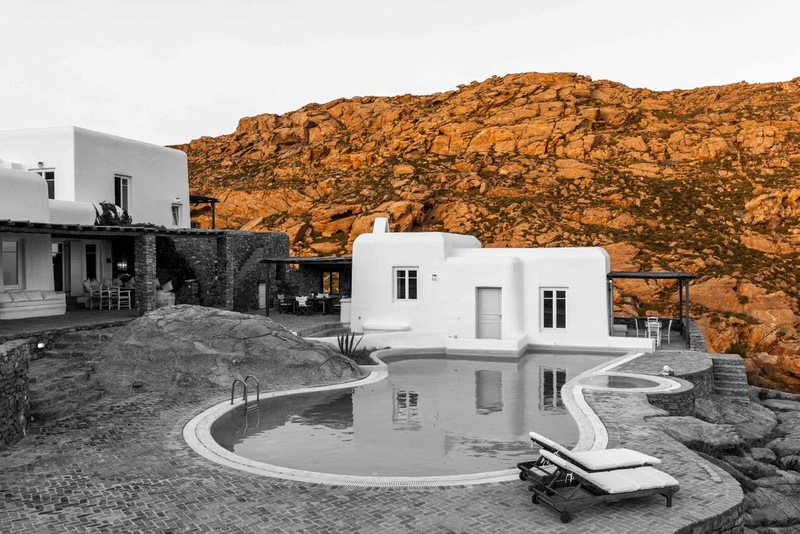 Numerous terraces, sitting and dining areas surround the house as well as, a large swimming pool, which is complemented by an open air Jacuzzi carved out on the edge of the cliff. 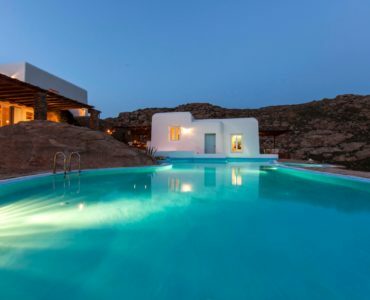 Next to the swimming pool there is a separate guesthouse “the Pool House”, split on two levels, with breathtaking views of the cliffs and the nearby islands. 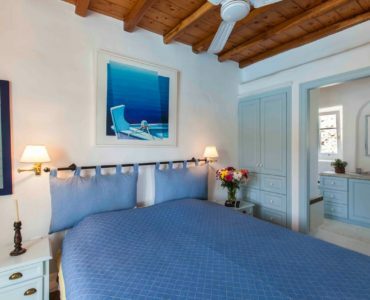 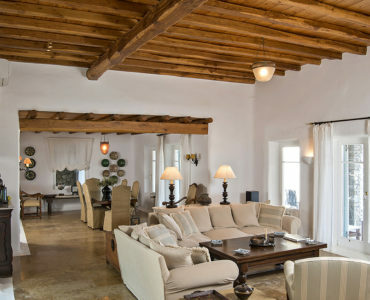 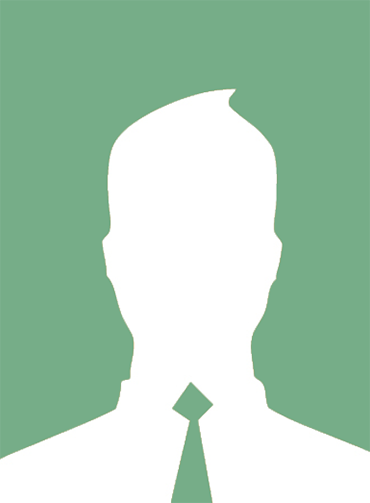 The villa stands out for its privacy and unpretentious luxury and has hosted in the past heads of State and other dignitaries.